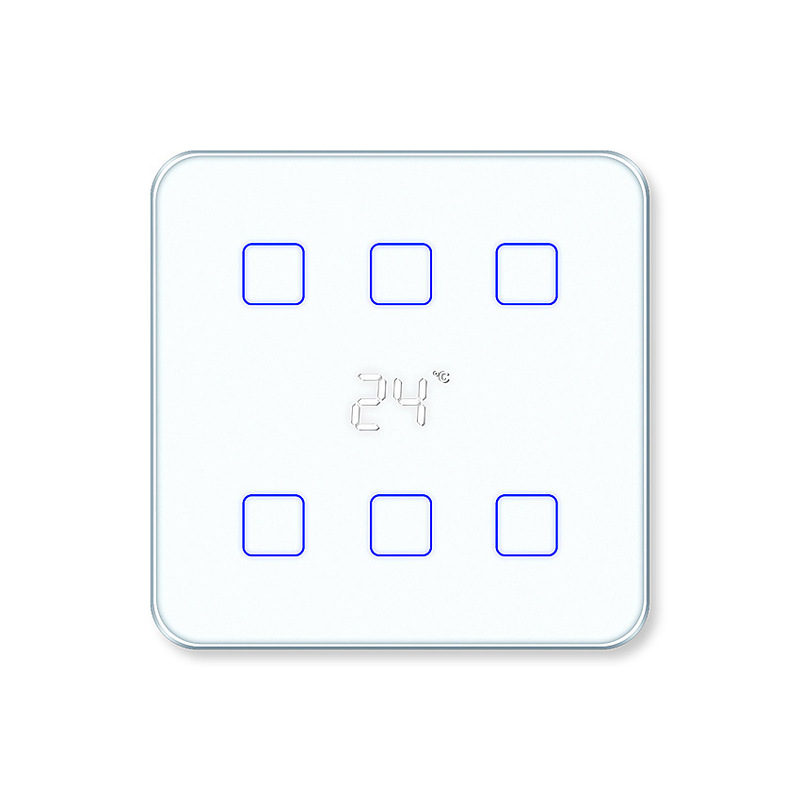 Design Cover made of real glass for the KNX Glass Touch Sensor 6-gang with Display (GT.16.11.1) and the KNX Glass Touch Sensor Console 6-gang with Display (GT.16.15.20). Precisely ground and polished edges, a backside ceramic coloring during tempering of the glass and the surface refinement represent the highest level of quality and design for interior architecture. 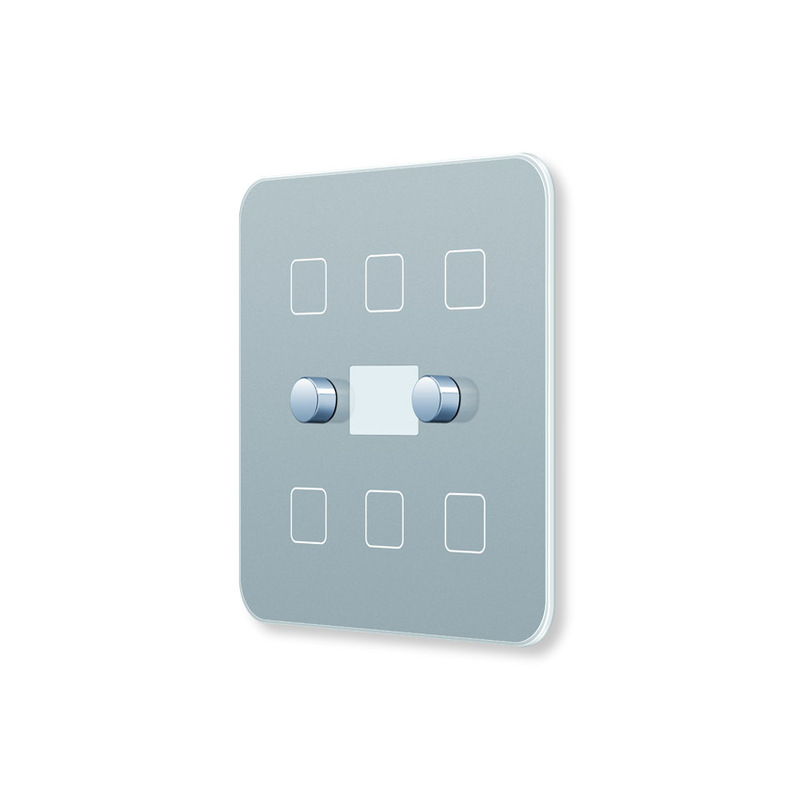 The invisible magnetic fixing solution allows unique flat and frameless wall mounting – glass pure. The symbols are lasered individually according to customer specifications in the backside ceramic color layer of the glass. For individual design a configurator with the possible symbols is available in our catalog app.